Agenus Inc (NASDAQ:AGEN) investors should be aware of an increase in support from the world’s most successful money managers in recent months. 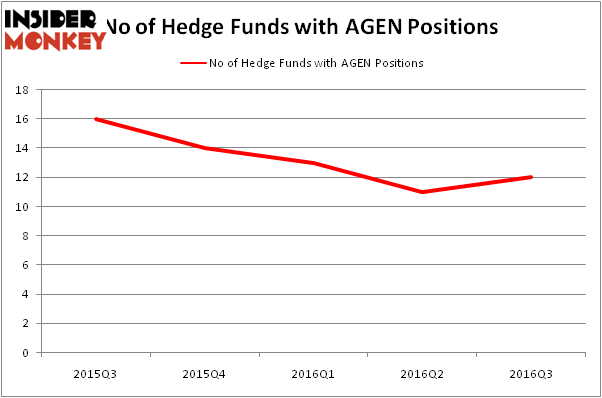 There were 11 hedge funds in our database with AGEN holdings at the end of the second quarter. The level and the change in hedge fund popularity aren’t the only variables you need to analyze to decipher hedge funds’ perspectives. A stock may witness a boost in popularity but it may still be less popular than similarly priced stocks. That’s why at the end of this article we will examine companies such as Lakeland Bancorp, Inc. (NASDAQ:LBAI), Newpark Resources Inc (NYSE:NR), and HomeStreet Inc (NASDAQ:HMST) to gather more data points. 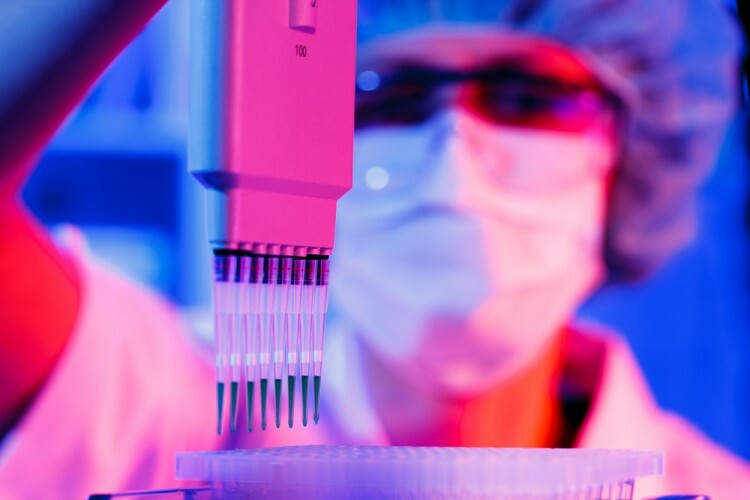 Now, let’s review the fresh action surrounding Agenus Inc (NASDAQ:AGEN). How have hedgies been trading Agenus Inc (NASDAQ:AGEN)? At the end of the third quarter, a total of 12 of the hedge funds tracked by Insider Monkey were bullish on this stock, an increase of 9% from the previous quarter. Below, you can check out the change in hedge fund sentiment towards AGEN over the last 5 quarters. So, let’s find out which hedge funds were among the top holders of the stock and which hedge funds were making big moves. When looking at the institutional investors followed by Insider Monkey, Behzad Aghazadeh’s venBio Select Advisor has the most valuable position in Agenus Inc (NASDAQ:AGEN), worth close to $26.7 million, comprising 4.7% of its total 13F portfolio. Sitting at the No. 2 spot is QVT Financial, led by Daniel Gold, holding a $23.1 million position; the fund has 0.9% of its 13F portfolio invested in the stock. Some other professional money managers that are bullish comprise Millennium Management, one of the 10 largest hedge funds in the world, Bihua Chen’s Cormorant Asset Management and Joseph Edelman’s Perceptive Advisors. We should note that none of these hedge funds are among our list of the 100 best performing hedge funds which is based on the performance of their 13F long positions in non-microcap stocks. Is Super Micro Computer, Inc. (SMCI) a Good Stock to Buy? Is B2Gold Corp (BTG) A Good Stock To Buy? How BOK Financial Corporation (BOKF) Stacks Up Against Its Peers How Bridgepoint Education Inc (BPI) Stacks Up Against Its Peers Is CAE, Inc. (USA) (CAE) A Good Stock To Buy Right Now? Do Hedge Funds Love Sterling Bancorp (STL)?